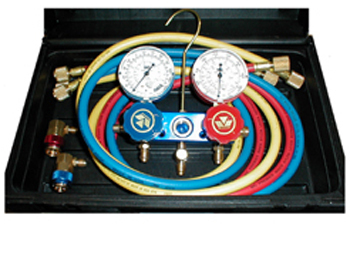 .R134A ALUMINUM-STANDARD COUPLERS-WITH 60" HOSES IN A PLASTIC CASE. ANTI-FLUTTER GAUGES. REDUCE NEEDLE FLUCTUATION AND INCREASES READING ACCURACY.